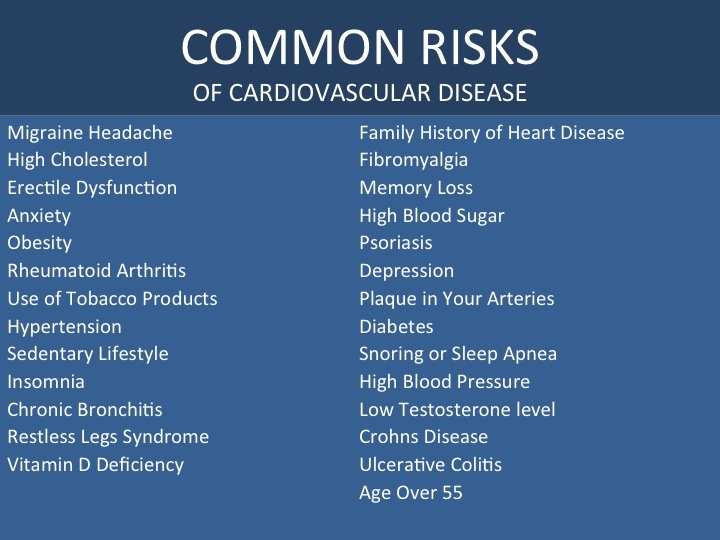 While comprehensive testing at the Prevention Center gives you the most accurate assessment of your risk for cardiovascular disease, there are a number of common risk factors that may help indicate whether you are at increased risk for heart attack, stroke or diabetes. 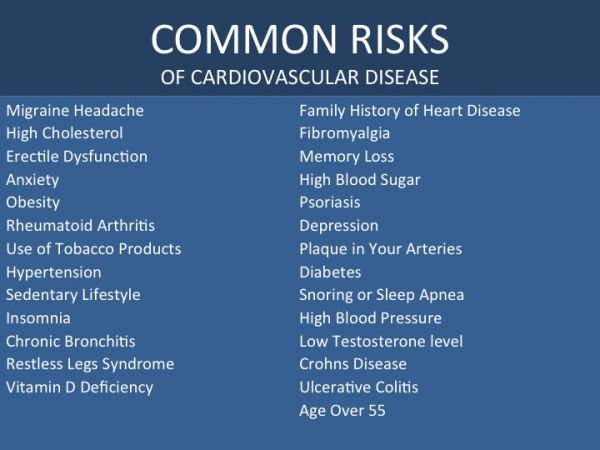 Any of these risk factors may indicate increased risk for life-threatening heart disease. If you or someone you know has any of the above symptoms, please contact us to schedule a thorough health evaluation.